People buy from people they know, like & trust. It’s a common truth. Your personal brand is what people say about you when you are not there. It is based on their perception about you which can be formed even without knowing you personally. Successful personal branding entails managing this perception effectively. It’s about – how to sell without even having to sell, even to people whom you don’t know. As your personal brand sells it for you. Locally, nationally and globally. The sky is the limit. Well – the limit you set for yourself really. You profit running the business that you are passionate and excited about. Practical tools and strategies that deliver real tangible results (yes, including your networking pitch, social media tactics and ensuring your personality authenticity). This live training is combined with practical tips and strategies, so come prepared to participate. Inga will share her own unique blueprint of personal brand development and personal branding strategies that has helped herself and her clients to expand their businesses locally, nationally and globally. Who is this for: Entrepreneurs, business leaders, freelancers, consultants or aspiring to be. It’s the success key to enhance your business development. When: 7 June at 19:00 – 21:00. Why: discover how to Skyrocket Your Business exponentially!! 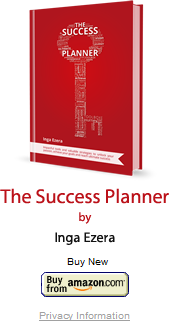 Inga Ezera, the founder of the Success Engine company, believes, that our success engine is inside each of us – we just have to find the right gas to fuel it up. She is an empowering and inspirational Personal Brand development partner and helps ambitious and dedicated entrepreneurs, business leaders and aspiring entrepreneurs like yourself to unlock their highest aspirations, think bigger, get crystal clear clarity and success strategies to achieve their ambitions and sky rocket their business and career quicker, smarter and bolder. She is dedicated to inspire you to think bigger and to empower you to achieve your goals and take you to a place in your life where anything is possible.